At Southern Draw Archery, we have an outdoor archery range onsite run by Robin Hood Archery. Test your skills with the full effect of weather in our outdoor range. Interested in booking a range for an upcoming event? See below for our ranges and hourly rates. 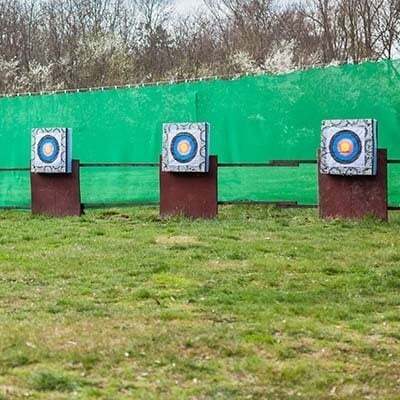 Details: We offer 2 outdoor ranges onsite run by Robin Hood Archery. We have a 50 yard practice range and a 20 target 3D course. An insurance waiver needs to be filled out for the first time on the range. After that, our ranges are open 7 days a week, from sunrise to sunset. Cost: Practice range is $5/day. 3D course is $10 per round on the animals, with unlimited practice range time.